Blekinge Sweden Take A Break Holidays. 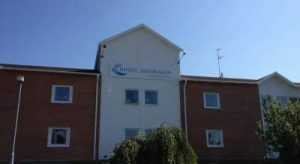 Blekinge Sweden Hotels from Take A Break Holidays Everything is close-by in Blekinge. As a tourist you can experience everything the region has to offer without changing your accommodation. Residents of Blekinge can commute across the entire county in the same time it takes a suburban resident to get to and from work. 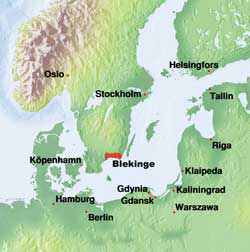 About Blekinge North Germany, half of Denmark and the coastal areas of the Baltic States are nearer to Blekinge than Malardalen (Stockholm). Approx. 70 million people live within reasonable reach of Blekinge. Traffic over the Baltic is growing. Here, the European Union is a practical reality and development a tangible result of cooperation between society, business and higher education. But perhaps the scenery is the best thing of all. Deep forests with lakes and waterways with excellent fishing. Miles and miles of stone walls running through extensive mushrooming territory, past oak woods, traditional red painted wooden Swedish cottages and lush orchards down to leafy and rocky islands and balmy sea bays. Everything is close-by. You can live in the country and live in the city. Or vice versa. You can live in a large house or a tiny cottage, by the sea or deep in the woods. It is rarely necessary to compromise between free time, work, school, childcare, club activities and housing. As a tourist you can experience everything the region has to offer without changing your accommodation. Residents can commute across the entire county in the same time it takes a suburban resident to get to and from work. 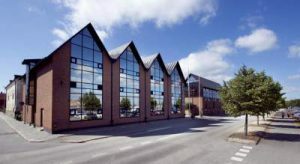 In recent decades powerful European forces have put Blekinge in a central geographical and mental position and consequently provided new and exciting opportunities. And not only tourists from far and near have discovered Blekinge. Students and entrepreneurs can see opportunities here to realise their visions. In fact, anyone looking for a good future will find this a good place in which to live and work. 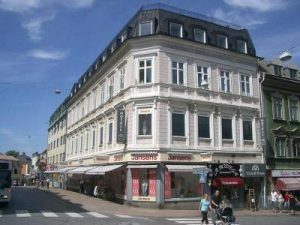 Sweden rentals from Take A Break Holidays Bungalows Apartments plus Villas and Hotels. Everything is close-by. You can live in the country and live in the city. Or vice versa. You can live in a large house or a tiny cottage, by the sea or deep in the woods. It is rarely necessary to compromise between free time, work, school, childcare, club activities and housing. As a tourist you can experience everything the region has to offer without changing your accommodation. Local Residents can commute across the entire county in the same time it takes a suburban resident to get to and from work. 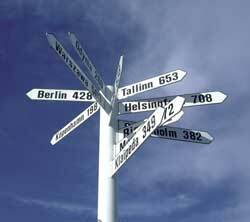 Take A Break Holidays takeabreakholidays, in Blekinge Accommodation.